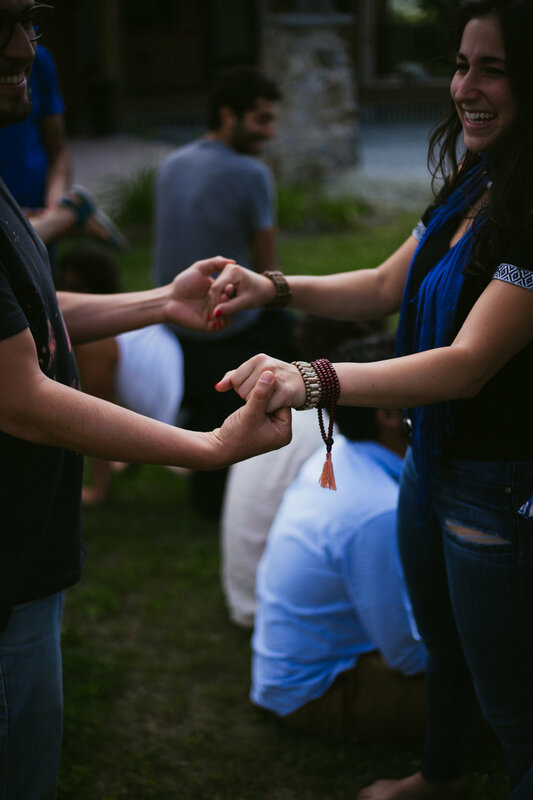 The House of Ayni Fellowship is a week-long immersive experience that helps top social entrepreneurs, community leaders and change agents in Mexico to engage with their purpose from a whole new perspective, increase social impact and amplify wellbeing in their lives through deep introspection and reflective self-awareness. Learn new cutting-edge design thinking, strategy and leadership tools to deepen the purpose and impact of your work. Collaborate with other leaders to create new, emerging ways to join efforts in Mexico. Receive detailed feedback on your work through one-on-one time with mentors renowned for their expertise. Leave refreshed, renewed and inspired in your professional and personal life. The next House of Ayni fellowship will take place July 9-15 in Malinalco, a landmark village 115 km southwest of Mexico City. Fellows will embark on an epic journey of learning, connection and community with social impact leaders from across Mexico. Ayni is the Andean principle of reciprocity, respect and the mutual flow of giving and receiving. We call this program House of Ayni because we believe that the path to help the world is to help one another first. By giving to others and expressing gratitude for what we’ve been given, we receive even more for which to be thankful. House of Ayni not only supports key activists and leaders of civil society, but also works with those who wish to use their resources to create a systemic, long-lasting and positive change in Mexico. Our upcoming program ‘Journey to Impact’ is tailored to high net-worth individuals looking to align values, wealth and impact. Leave your email if you’d like us to update you with any updates regarding applications and the program, and share some of the in-house design tools we use with our fellows. You can, of course, unsubscribe anytime and we won’t share this info with anyone.